Chris Beccan of Bexsonn, a blog based in The United Kingdom about watches and whisky just performed a review on the Hanhart Pioneer MonoScope timepiece. A mono-pusher chronograph from a Swiss-German watch company or better yet, a chronograph company. 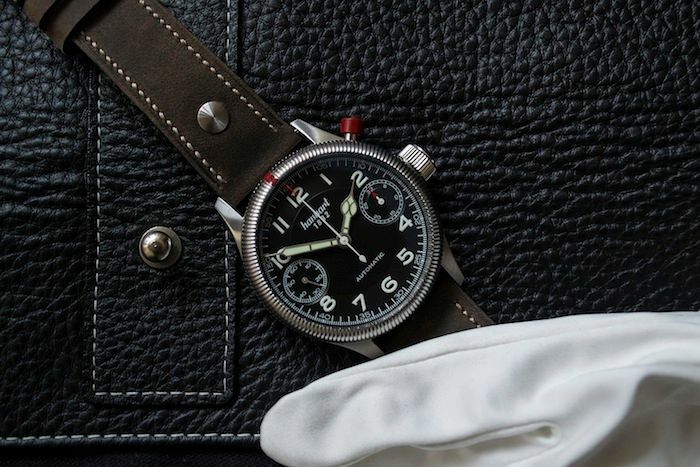 This +130 year old company which has firm roots in pilot chronographs, being one of the first manufacturers that used a column wheel chronograph movement for pilot’s watches. The review on Bexsonn gives some company background first, including some trivial information about their historical chronograph movements and why Hanhart uses the red pushers on their chronographs. Besides sharing his opinion about the Pioneer Monoscope, Chris also shows his photographing skills.